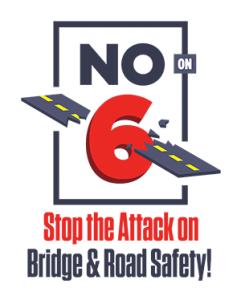 Newspapers throughout California are urging voters to say “no” to Proposition 6 on the November General Election ballot because it seeks to cut off funding designated for road repairs and public transportation by repealing the taxes and fees in a 2017 transportation law. This initiative would repeal all the transportation taxes adopted by the Legislature in 2017, including higher gasoline and diesel excise taxes, a new tax on vehicles, and a new tax on zero-emission vehicles. The measure also would require any future legislatively imposed taxes on fuels and vehicles to take effect only upon a statewide vote of the people. Stop transportation improvement projects already underway in every community in California. This measure would eliminate funds already flowing to every city and county to fix potholes, make safety improvements, ease traffic congestion, upgrade bridges, and improve public transportation. Thanks to SB 1 (the 2017 law), 4,000 local transportation improvement projects are already underway across the state. Hurt job creation and the state’s economy. Reliable transportation infrastructure is critical to get Californians to work, move goods and services to the market, and support the economy. 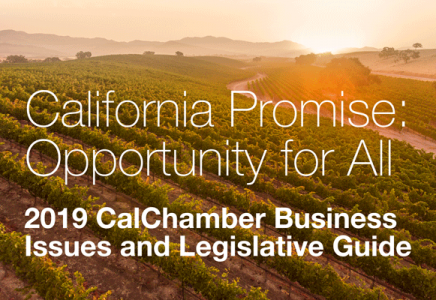 This measure would eliminate more than 680,000 good-paying jobs and nearly $183 billion in economic growth that will be created by fixing California roads over the next decade. Following are excerpts from newspaper editorials opposition Proposition 6.